This guest post was contributed by Lynda Freeman who blogs at About the Children’s Department. Bible Journeys provide unique opportunities for families to work together to provide special events where church and community families can experience God’s Word together and come to understand what it means and how to live it in their everyday lives! Resurrection Sunday Bible Journey is an event with four stations families “journey” through to learn what Resurrection Sunday is all about. They will learn why Jesus prayed in the Garden. They will discover what happened when Jesus was arrested and put on trial. 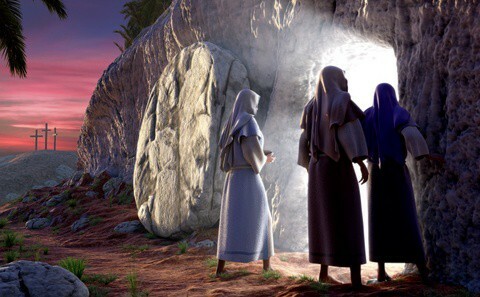 They will hear how Jesus died on the cross for an “end” none of us would have chosen and then celebrate as they learn how “the end” was really the “beginning”! In the party room families will celebrate this new beginning as they present the canned and boxed foods they brought for families in need. Each station involves families in learning, activity and discussion so this isn’t just another “event”, but rather an opportunity for everyone to learn how the Resurrection was the greatest event in the history of the world! Directions: Click here to download the complete directions and curriculum for this event. It’s a 36 page document that includes drama, crafts, and everything you need to plan this special family experience. Just print the file and start planning. Editor’s Note: If you plan to use this resource please leave a comment below to let us know. You can also upload photos from your event to our Facebook page to share with others. Tony Kummer (Editor) reviewed & updated this page on : February 1, 2011 at 11:35 am. All our content is peer reviewed by our readers, simply leave a comment on any post suggest an update.